A fuel cell micro combined heat and power (micro-CHP) project has been named as the most successful of all EU hydrogen and fuel cell projects at a high-profile awards event in Brussels earlier this month. The PACE (Pathway to a Competitive European Fuel Cell micro-Cogeneration Market) project was chosen in a vote highlighting innovation and excellence by representatives from EU institutions, industry, research bodies and other energy and climate stakeholders. "This award can be seen as a huge vote of confidence for fuel cell micro-CHP and products such as the Viessmann Vitovalor fuel cell, from those in the know," commented Graham Russell, managing director of Viessmann UK, one of the companies supporting the PACE project. "It underlines its position as a crucial component of the EU's decarbonisation strategy." 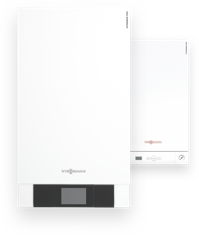 Viessmann's Vitovalor 300-P is the world's first mass-produced fuel cell boiler and one of the micro-CHP products backed by PACE. By combining the production of heat and power it provides energy savings of up to 36 per cent compared to separate heat and power generation and reduces CO2 emissions by more than 30 per cent. PACE aims to bring fuel cell micro-cogeneration technology closer to mass market affordability and to establish Europe as a global leader in the technology. PACE funding has ensured that the Vitovalor 300-P is within reach of a much greater proportion of UK homeowners. There are now around 100 heating engineers trained to fit the Vitovalor in the UK and more training planned for 2019. "Thanks to projects like PACE, consumer confidence in this technology is growing," continued Russell. "It's very gratifying to have such a public endorsement of what we've been saying for some time; fuel cell micro-CHP is a future-proofed technology which can help bring international environmental goals within reach and reduce fuel costs for homeowners." The FCH JU awards mark ten years of the work of this EU public-private partnership which aims to drive research, development, deployment and market introduction of fuel cells and hydrogen technologies. In total thirteen outstanding FCH JU projects in fields ranging from transport to energy storage were nominated for the Best Success Story award.